Please call and check our hours before you come in. We do close for private events, tournaments and have limited stations during parties. 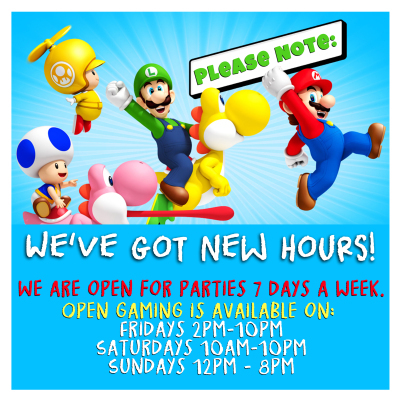 fundraisers and open on weekends for hourly walk in gaming. Fill out our application and send it to us via email, US mail or stop by and drop it off! If we don't have any available openings at the time you apply, your application will be kept on file and reviewed as soon as something opens up.